Chicagoans demonstrate in Rogers Park, June 23, 2018. Photo: Franklin Dmitryev. In Rogers Park between 300 and 600 of us walked down Morse from the el stop and then up Clark Street to Touhy Park, a popular gathering place for people of all races, many of them Latinx, often engaged in soccer games. The support from pedestrians and drivers on Clark Street was overwhelming, with more friendly honking than I’ve ever seen at a protest. At the same time, even more Chicagoans marched in Lincoln Square. Marchers were of all races and ages, from young children to elderly, including quite a few parents pushing strollers. 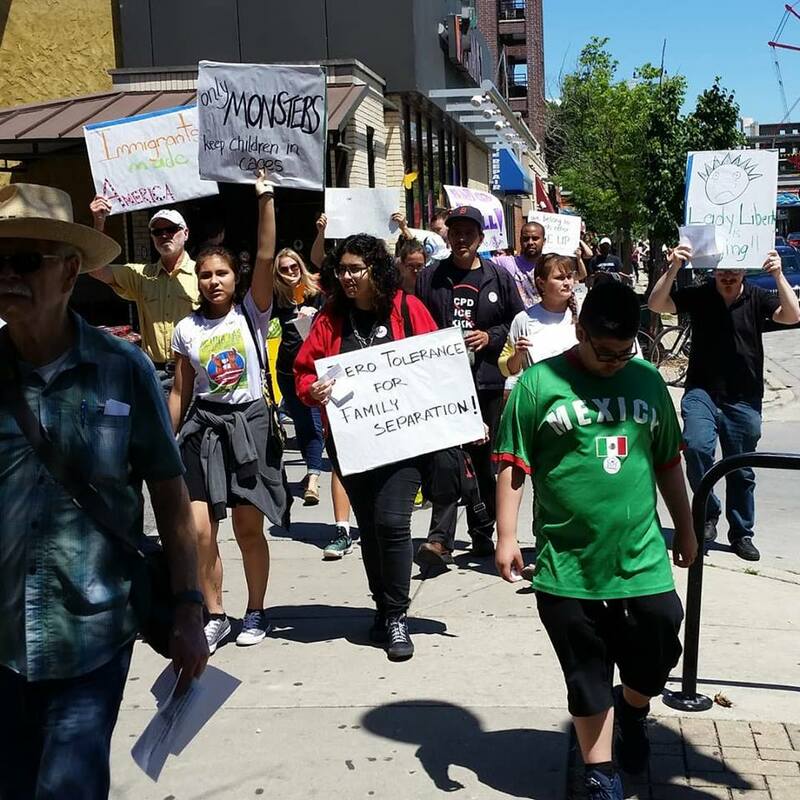 The spirit was passionate and determined, and the event was energizing and restorative, leaving us looking forward to the citywide “Families Belong Together” march this Saturday, June 30, 11 AM at Daley Plaza, with a plan for Rogers Parkers to meet up at the Loyola el stop at 10 AM and ride downtown together. 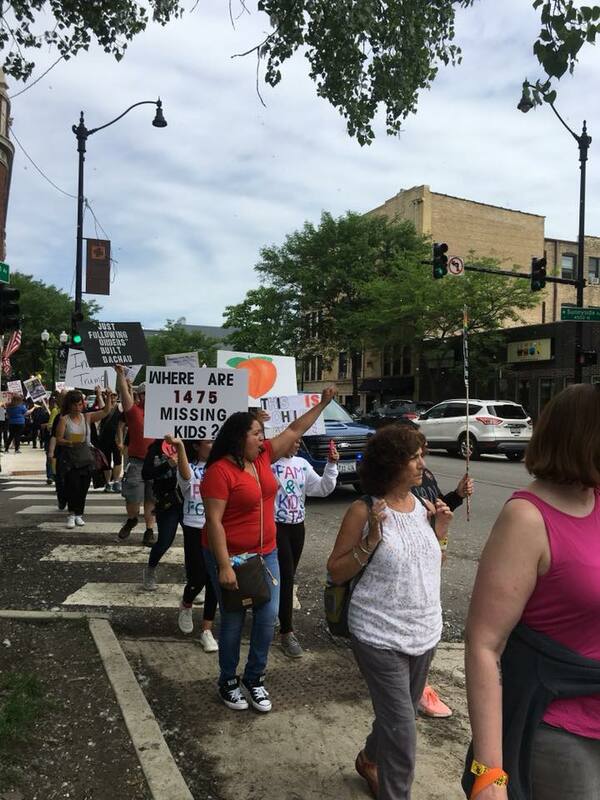 This entry was posted in Alerts & Appeals, Articles and tagged Chicago, demonstration, Donald Trump, Franklin Dmitryev, immigrant children, immigrant rights movement, Latinx, Marxist-Humanism, Rogers Park. Bookmark the permalink.